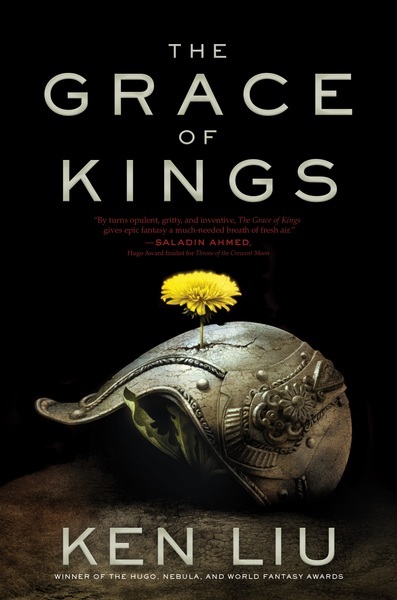 The Grace of Kings, Ken Liu’s debut novel, was nominated for the Nebula Award, and won the Locus Award for Best First Novel. It was also one of four launch titles for Saga Press, and it helped make that fledgling publisher one of the most respected publishing houses in the genre. Next week Saga release The Wall of Storms, the second volume in what’s now being called The Dandelion Dynasty. It arrives in hardcover on October 4th. Here’s the description. Kuni Garu, now known as Emperor Ragin, runs the archipelago kingdom of Dara, but struggles to maintain progress while serving the demands of the people and his vision. Then an unexpected invading force from the Lyucu empire in the far distant west comes to the shores of Dara — and chaos results. 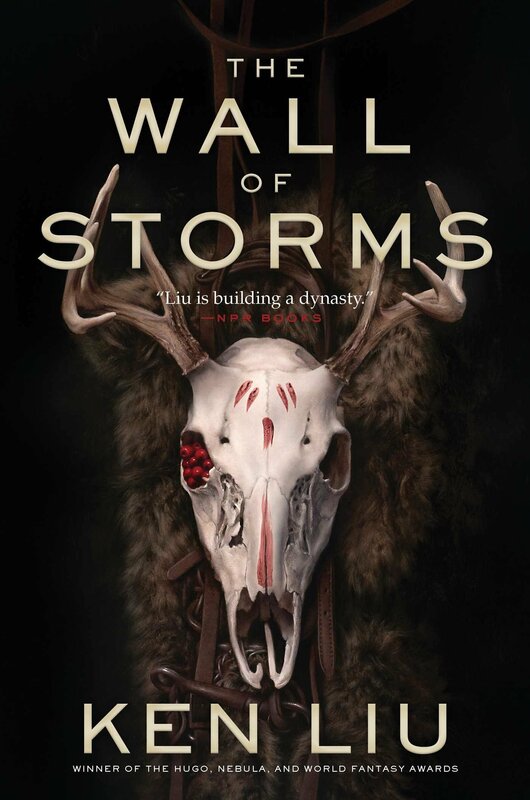 The Wall of Storms is 880 pages, priced at $25.99 in hardcover and $7.99 for the digital edition. The cover is by Sam Weber. Read an interview with Ken, and an excerpt from the book, at io9.